Known for innovation, attention to detail, and exquisite tailoring, Helmut Lang redefines the concept of modern luxury. Acquiring the trademark in March 2006 from the Prada Group, Link Theory Holdings Co. launched Helmut Lang for the intelligent, design minded, modern customer. The concept of both the Men’s and Women’s collections is to set the standard for minimalist design in the Contemporary Market. Helmut Lang launched in New York City with Spring 2007 Men’s and Women’s Ready to Wear Collections. Michael and Nicole Colovos, former recipients of the prestigious CFDA Vogue Fashion Fund award, joined Helmut Lang in March 2006 at the design helm. Their emphasis on construction and strong but subtle detail is perfectly suited to their new post. Born in Madrid, Spain, designer Michael Colovos moved to the United States at the age of five. He was raised in Seattle, Washington and later went on to graduate from Seattle Pacific University. In 1994, he moved to New York City to study at the Fashion Institute of Technology. In 1995, Michael relocated to Florence, Italy to continue his studies in design at Polimoda. He then went on to Paris and worked in the design studio of Guy Laroche. Michael returned to New York in mid-1996 to work as a freelance designer and illustrator before launching Colovos in the fall of 1998. Colovos, a collection of women’s clothing, was sold at Barneys New York, Linda Dresner and Fred Segal. It was in 2001 that Michael Colovos met Nicole Garrett, who at the time was the Senior Market Editor for U.S. Harper’s Bazaar. Born in Auckland, New Zealand, Nicole had studied photography, art, and art history at Selwyn College. In 1987, she moved to Sydney, Australia, enrolling in the Film Makeup Technology School. In 1991, she commenced full-time as Fashion Editor for Australian Elle. Working at Elle for five years, she then moved to New York in 1997 to pursue freelance styling. That year, Nicole began freelancing for U.S. Harper’s Bazaar as Associate Fashion Editor, later becoming a Senior Market Editor. For the Fall/Winter 2002 season, Michael and Nicole launched their own collection to much critical acclaim. The business was closed just before they assumed the creative lead at Helmut Lang, for the Spring 2007 season. They are now married, and collaborate on all elements of the design and aesthetic of the Helmut Lang brand. 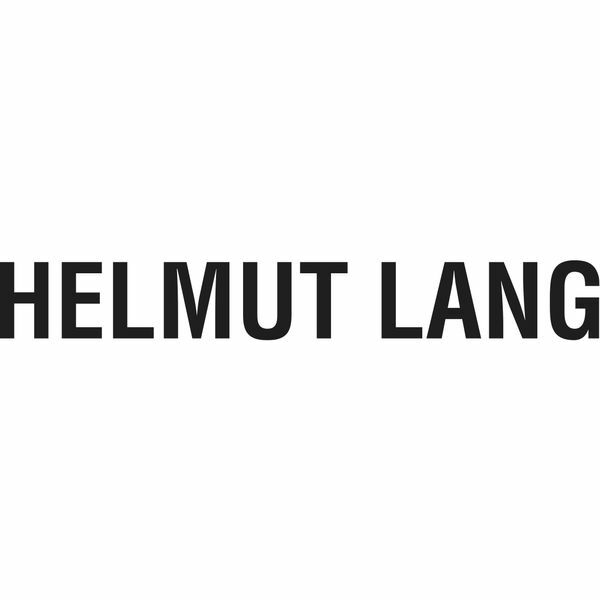 Today, Helmut Lang is a global phenomenon, sold in 28 countries around the world. The collections are available at 171 stores, including Barney’s New York, Bergdorf Goodman, Harrods, Selfridge’s, Harvey Nichols Istanbul, Lane Crawford Beijing, Lane Crawford Hong Kong, Printemps, Holt Renfrew, and Isetan. The collection is also available at 3 retail stores, located in New York City, Los Angeles and Tokyo. Utilitarian. Raw. Edge. It is the meeting of supreme design integrity with the energy and excitement of the contemporary market. For Spring 2011, walk into a textural lightness and a clean, pure color palette of whites, creams and nudes, mixing buttery leather and tape yarn sweaters to contrast delicate chiffons, wispy silks and sheer jersey. Irregular stripes inspired by artist Wade Guyton play against two dimensions of short and long; washed twills, silks and linens have a lived-in feel that creates a tension of sharp shoulders with a soft body.